Even though I had a pretty lousy day with my bets last Sunday, the day was a glorious one. The weather was beautiful in Toronto. A bunch of our buddies got together at 11 am. and had brunch and beer. Then we played some football; I was nicknamed 'The Gloves' because I was wearing my sweet under armor football gloves and was catching all the balls coming my way. Starting at 1 pm. ensued an almost non stop football viewing lasting almost 11 hours. Although I went 3-2 last week, both loses hurt a bit more than usual for different reasons. The 'OVER' 45 call on the Browns vs. Colts hurt because that was my most confident pick of the day; I called it my "gold pick" smh. Don't get me wrong, I understand I was pretty lucky to get the Dallas win at -2.5, so I should accept the bad luck with the good. But don't forget: 'Luck is what happens when preparation meets opportunity.' Seneca (5 BC – 65 AD). Let's start with the spread... The Eagles seem to be a team in total disarray, firing their defensive coordinator Juan Castillo. But with Andy Reid on the hot seat yet again, look for the Eagles to be amped up this week. With the tight division race in the NFC East, this game means more to the Eagles (3-3) than the (6-0) Falcons. Interestingly, the Eagles are 6-0 SU (straight up) in their last 6 games at home against the Falcons and 5-0-1 ATS (against the spread). With some lousy weather on the horizon for Sunday (more on this in a bit), expect both teams to lean on their running game which clearly favors the Eagles. The Falcons allow a whopping 5.2 yards per carry (31st in the NFL). Even though I jumped on this spread earlier in the week at -1 (-120), I still like the Eagles at -2.5 or -3. 1. For whatever reason, Reid is awesome coming off a bye. He's never lost, covering 10 of 13 chances. Betting on favorites with an extra week to prepare is usually a good betting proposition anyway. 3. Reid owns the Falcons. Excluding a Week 17 contest in which he sat his starters, he's 7-2 against the spread against Atlanta throughout his tenure. He's 3-1 ATS versus Matt Ryan, with the only loss coming last year when his team blew a big lead after QBDK suffered an injury. Recap: Nothing seems to be going right for the Eagles the past few weeks. Firing the defensive coordinator didn't do much for that D. I was surprised how comfortable Matt Ryan looked on the road. The Falcons were the better team and they took care of business. Now for the under... There's a 90% chance of precipitation this Sunday in Philadelphia. Both teams will throw the ball cautiously. The Eagles are already a low scoring team averaging only 17.2 points per game. The high scoring team, the Falcons are away from their comfort zone, The Dome, on a rainy, chilly afternoon. The total has gone UNDER in 4 of Atlanta's last 5 games when playing on the road against Philadelphia. The Falcons D is strong against the pass and weak against the run while the Ealges D is strong against the run and weak against the pass. Even with a modest total of 45, both D are good enough to restrict the scoring with a bit of help from mother nature. Recap: As a fairly new NFL bettor, I learned a very valuable lesson this week. Don't bet on an outcome almost solely based on the weather, with more than 24 hours left to the game. I was clearly expecting Cleveland's weather in Philadelphia and I didn't get it. The Lions have been a disappointment so far. In my opinion, expectations were a bit too high for this team coming into the season, specially without Jahvid Best. However, I'm picking the Lions this week because I don't trust Russell Wilson to have much success on Sunday. Wilson has an away QB rating of 57.3 as opposed to his home QB rating of 115.2. His TD/INT ratio away is 2/7 while his home TD/INT ratio is 6/0. The offense will still run through Marshawn Lynch, but the Lions rush D is a decent one allowing 4.1 yards per carry. As we saw last week, it's impossible to keep Stafford quiet for the entire game. Taking better care of the ball in the red zone will allow the Lions to put up some points on the board. Whether he connects with Megatron or someone else, Stafford will lead his team and our picks to victory. Recap: As a Matt Stafford owner in fantasy, I was delighted by his performance. Both Titus Young Jr. and Ryan Broyles played well and they'll get plenty of opportunities defenses focusing on Megatron and with Burleson out. If they can establish a bit of a running game, the Lions will be tough to beat. **Update: The weather won't be very cooperative for the OVER on Sunday so I'm updating my pick. I'll take the Redskins at +4.5. More on this to come. The Redskins looked impressive last week on the road against the Giants. Whereas the Steelers looked pretty ordinary, although the dropped balls didn't help. 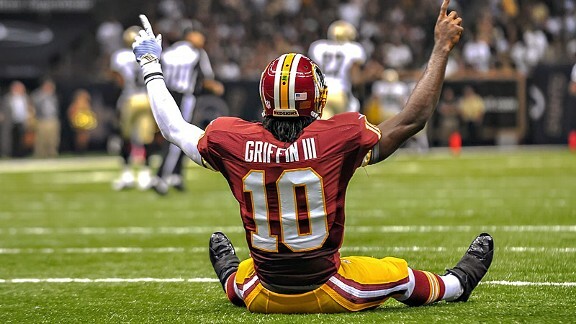 RGIII is the type of X factor that if healthy, he can put up points against any defense by throwing or running. People may say "that's too much hype for a player who's only played 7 games in the NFL", but RGIII is special. The key for the Redskins will be to limit the turnovers and maximize their opportunities on offense. They had 4 turnovers last week leading to missed opportunities. The advantage in the passing game would certainly go to the Steelers in this game. But the infancy of Hurricane Sandy will change the game plans of both teams and they will be running the ball more often. Jonathan Dwyer had a very good week last week. Things won't go as smoothly this week against a Redskins rush D that allows only 3.9 YPC (9th in the NFL). The Redskins have better personnel to run against a D that isn't what it used to be. No matter the final score, this game will be close enough for the Redskins to cover. Recap: Maybe it was the rain or the conditions, but over 10 drops in a game will kill any team. But the Redskins couldn't come up with any stops and let the Steelers score at will in the first half. It was a pretty frustrating game to watch cheering for the Redskins. 1) IT'S NOT VERY LOUD: The stadium is so huge, that even when 80,000 or 100,000 are making noise at the game, it doesn't sound as loud and intimidating to the opposition. Plus the Cowboys often don't give these fans much to cheer about at home. 2) OPPOSITION FANS ARE IN THE HOUSE: It's a state of the art, publicized stadium. Fans want to attend a game at Cowboys Stadium. It's enticing for fans to travel with their team to go watch a game at Cowboys stadium. Remember how many Bears fans were in attendance in Dallas during their week 4 match up? 3) IT BRINGS THE BEST OUT OF THEIR OPPONENTS: The Cowboys Stadium is so grand and dignified that opposition players elevate their game a notch to put on a show on this stage. Dallas is 0-5 ATS in its last 5 games at home. Dallas is 5-12-1 ATS in their last 18 games when playing NY Giants. The Giants will be looking to avenge their week 1 home loss to the Cowboys. The motivated New York team will win a close one. Recap: Poor Tony Romo and Dez Bryant. But instead of trying to blame them, I will put this loss on coach Garret and his mismanagement of the game. I'm not complaining because it gave the Giants the win. I believe they took the foot of the pedal taking a big early lead and tried to coast their way to a victory. It almost cost them. Cowboys Stadium: Home field advantage? Pretty disastrous day so far. Let's go Giants! Hey man, got your link at WalterFootball. I like the way you created your blog. It actually gave me a few ideas on my new site. I'm going to keep checking in on here to see how your picks are going and reading your commentary. Check out my site if you don't mind and let me know what you think. Thanks Smith, appreciate the support! It's a cool site. I like the interface and color schemes of your site. Easy to follow and pleasing to the eye. Good stuff man.